Fantastic Getaway for Two or a Small Family!! Executive Plus Property!! This Bella Piazza ground floor unit it is the best Davenport can offer. BPI2203 features 2 Bedroom, 2 Bathrooms and sleeps 6. There are 2 Flat Screen TVs, Cable and internet access at the business center. 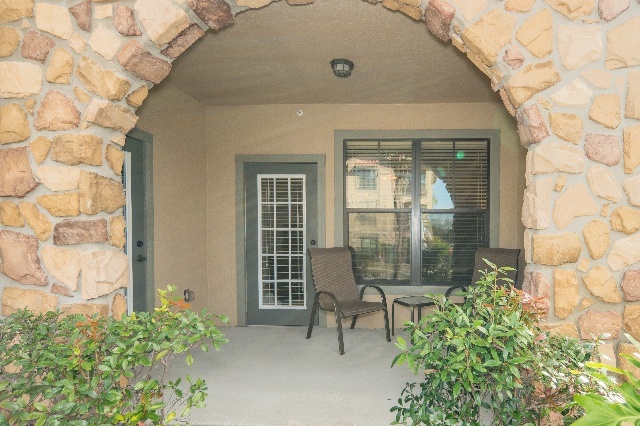 Enjoy of the great location, close to main roads and just a few miles away from Disney. 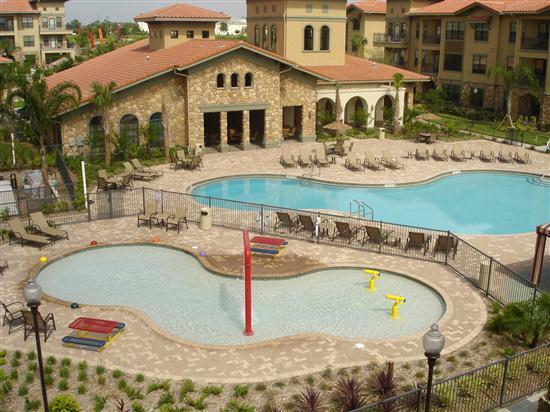 Don’t miss the pool area and all the community amenities. Like the state of the art spa, fitness center, children’s water playground, games room, business center and more!! Outdoor Sitting Area Top of the Line Furniture Package Washer& Dryer Sleeper/Sofa DVD / VCR player Community Amenities Include: 2 Resort Style Pools, Water Playground for Children, Business Center, Fitness Room, Elevators, Wi-Fi Access and Cyber Cafe at Clubhouse.